The new expansion boards has two 40-pin connectors. 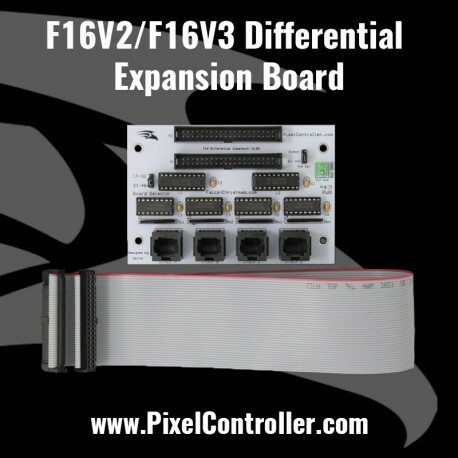 The Differential Expansion Board connects the the F16V2 or F16V3 via 40-pin ribbon cable. Allows up to four receivers to be connected to controller. Comes with 40-pin ribbon cable. The Differential Expansion Board connects the the F16V2 or F16V3 via 40-pin ribbon cable. 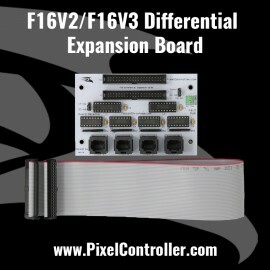 Two expansion boards can be used with F16V3 to allow up to 48 strings to be attached. 16 locally and 32 remotely. You can also connect one differential expansion and one regular expansion board. 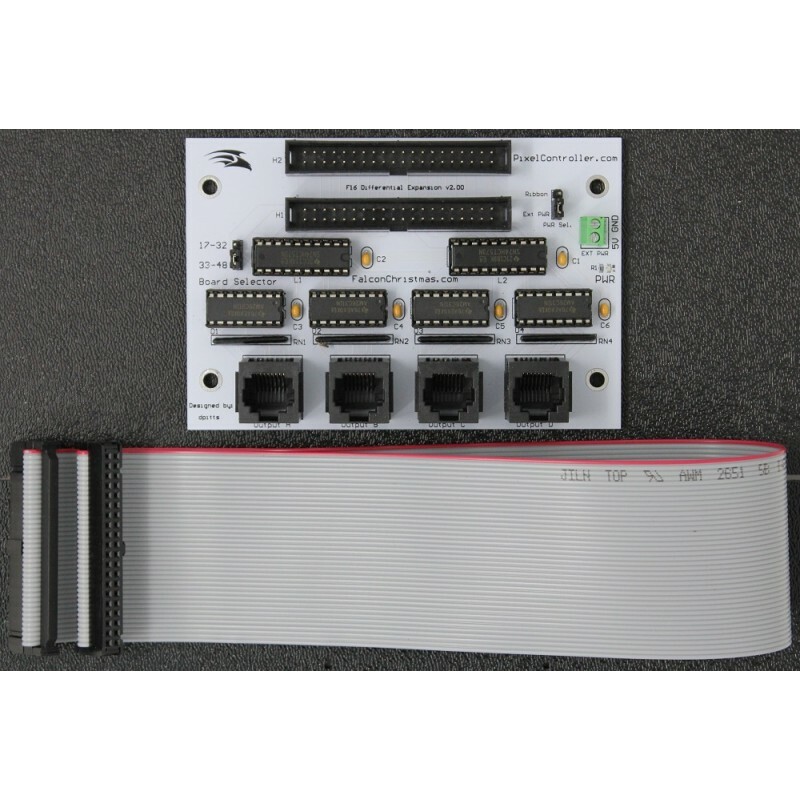 The board has 16 differential circuits that are accessed by four RJ-45 output connectors. This allows 16 strings to be located up to 250+ feet away from F16V2/F16V2R/F16V3 using 4 Differential Receiver Boards. Comes with 40-pin ribbon cable.